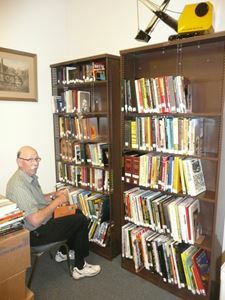 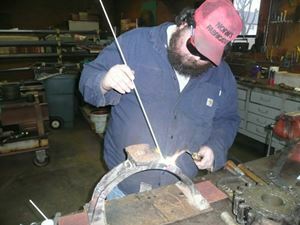 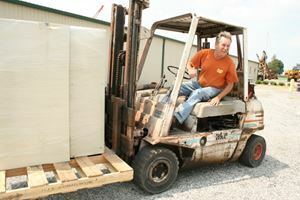 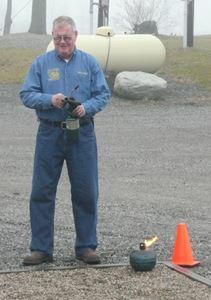 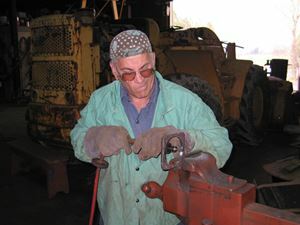 The National Construction Equipment Museum would not exist without the work of its volunteers. 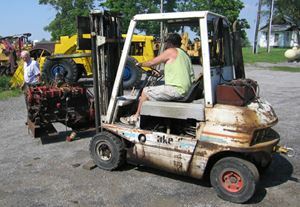 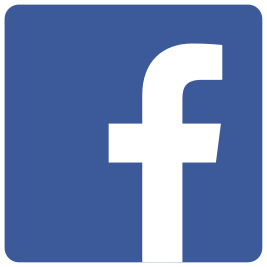 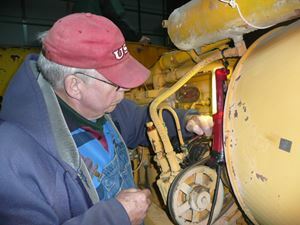 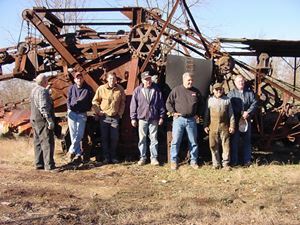 With or without any special skill, these men share a love of sweat, grease, hard work and good fellowship that results in vintage construction equipment being restored to original physical and operating condition for the public to enjoy. 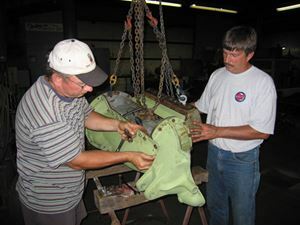 Placing the top on a vintage Barnes trash pump. 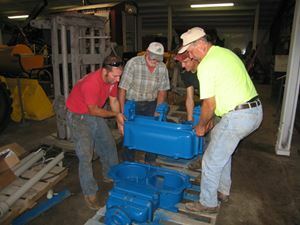 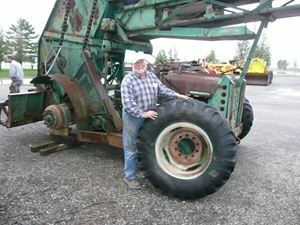 Volunteers assess the disassembly and transportation of the vintage Buckeye ladder trencher donated by Keith Mauzey (2nd from right). 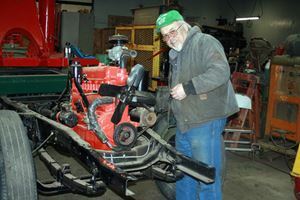 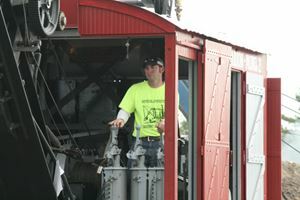 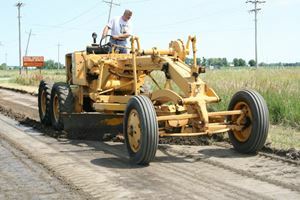 Adam Berry at the controls of the HCEA's 1924 Model 26 Marion electric shovel. 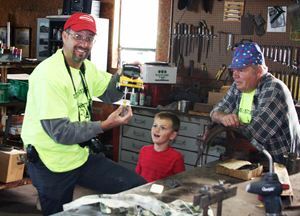 Jim Arras and Bob Young fix a toy for a young equipment enthusiast.